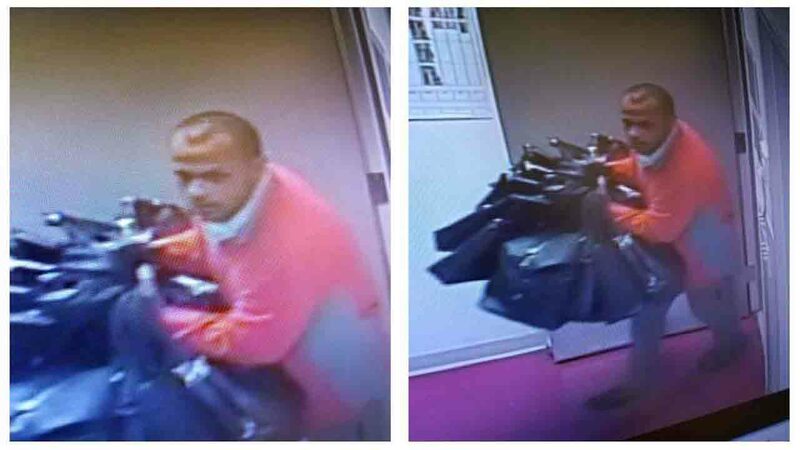 MYRTLE BEACH, South Carolina (WTVD) -- Horry County Police are searching for a man accused of stealing $5,000 worth of bags from a Coach Factory store. The man was caught on camera carrying two armfuls of bags out of the store at Tanger Outlet in Myrtle Beach. It's unclear if the theft occurred during store hours. However, according to corporate policy, employees are not allowed to stop customers from stealing. They are to imply that they are aware the customer is attempting to steal and call security right away. Police are also warning anyone in the Myrtle Beach area, or those planning to visit, to not purchase bags from the man and to call 843-915-8477 to report him.